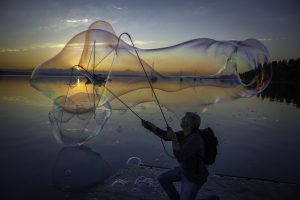 Here’s a little of what I did get to do and be sure to click back to Whidbey Life Magazine often to keep track of what to do this summer on the island. 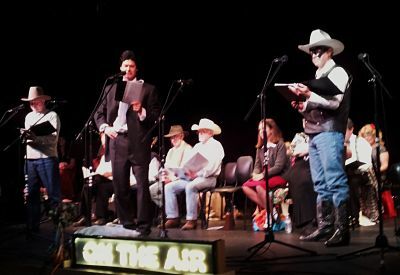 I went over to the Coupeville Performing Arts Center at the high school to see the Penn Cove Players in a radio-theater variety show. 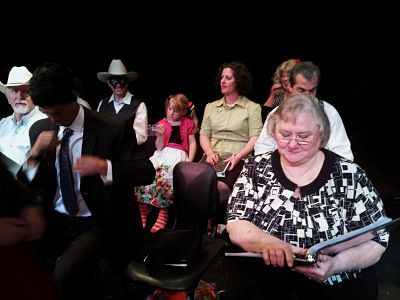 The performers were directed by Elizabeth Herbert, who will be teaching classes this summer at Whidbey Island Center for the Arts. The Players presented “Our Miss Brooks,” “The McCoys: The Hatfields Have a Yard Sale” and “Adventures of The Lone Ranger.” It was an entirely enjoyable evening, including delightful pre-show music from the duo “SWAY,” singing a variety of songs that made you feel like you were in a Hollywood supper club in the 1930s. See the Penn Cove Productions member page here. 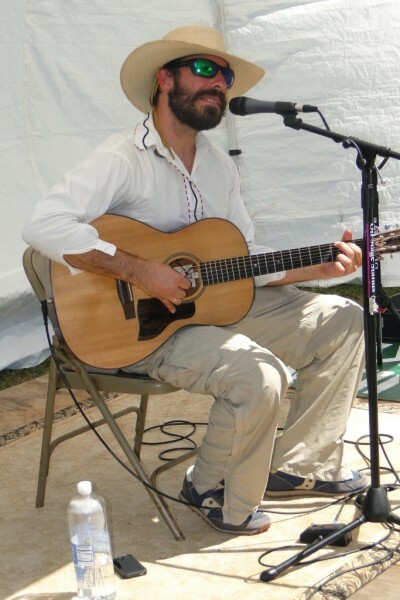 It was hot, hot, hot on Sunday at South Whidbey Tilth where I rolled in to hear some tunes at the South Whidbey Acoustic Music Festival (SWAM). 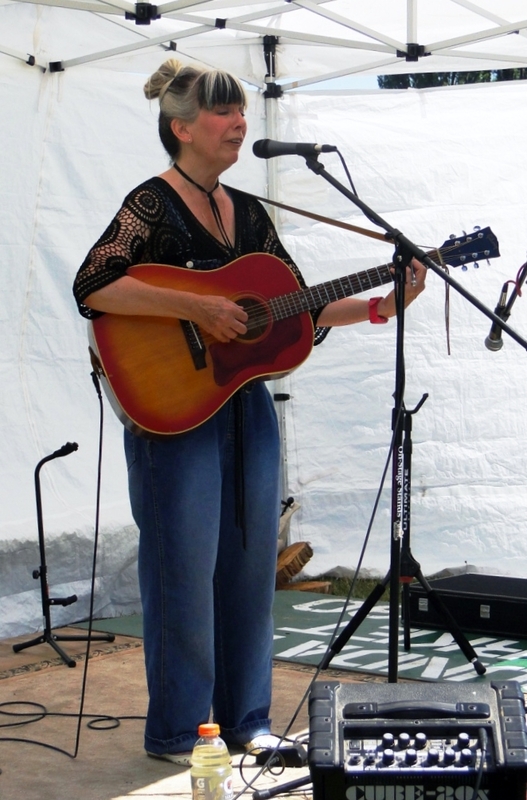 Despite the heat, I spent an enjoyable couple of hours in the sun (and the sprinkler), while listening to Karin Blaine rockin’ her guitar and delivering her special brand of clever, funny, political satire. 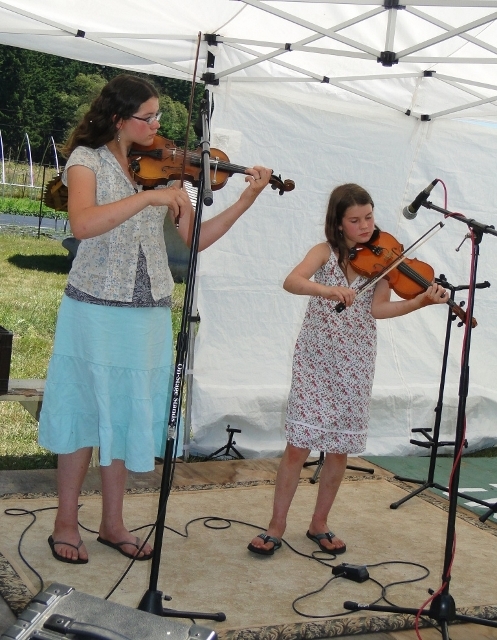 I was sorry I missed Livy and Gaby Barlow on their violins. Another treat was Steve Showell, Joanne Rouse, Mel Watson and Blaine England striking it up with a little “Oh When the Saints Come Marching In.” I missed the rest, but what I heard … loved it. 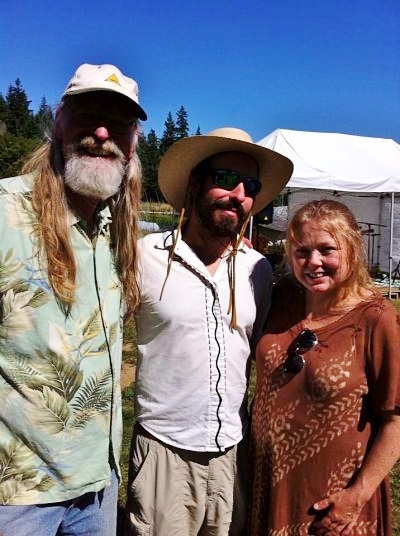 Here’s festival organizer Russell Clepper with Reichman and his Muse and Eye singing partner, Sarah Dial Primrose. I headed down to Bayview Corner to catch Janie and Joe rockin’ the deck at Blooms Winery and its tasting room’s Sunday afternoon concert series. A crowd was loving the trip down hippie, rock ‘n roll lane that Janie and Joe were treating them to, including great renditions of Janis Joplin’s “Me and Bobby Magee” and “Mercedes Benz.” Find Janie and Joe on our music member page here. 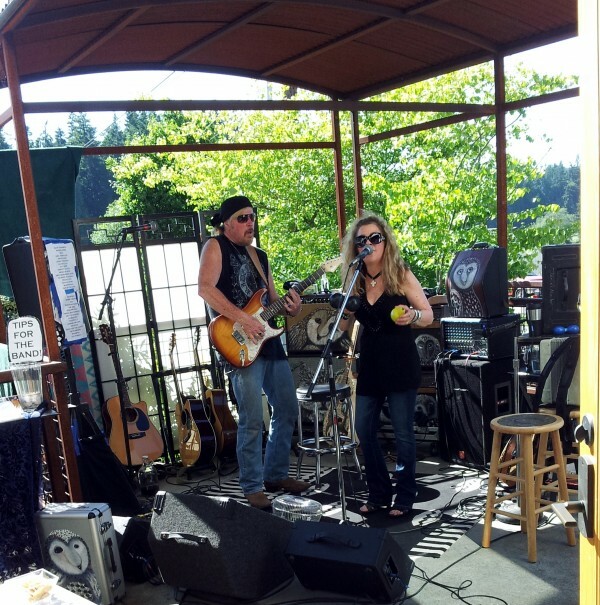 The rock band, Janie and Joe, play the Sunday afternoon series at Blooms Winery in Bayview. 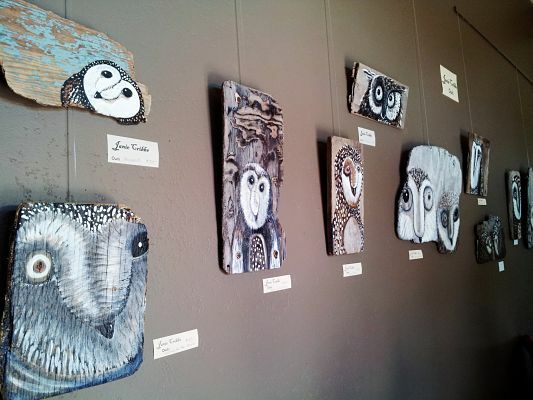 Owls on wood by Janie Cribbs at Blooms Winery Tasting Room in Bayview Cashstore. Like I said, there’s lots to see, hear, taste and do. Lots of cool, talented people to check out. I’ll try and keep up. Check Whidbey Life Magazine daily for updates to the calendar.